July 2016. TNT-Audio are saddened to learn of the death of E J “Ted” Jordan of Jordan speakers. We received the following from E J Jordan Designs. It is with great sadness that we announce the death of E. J. “Ted” Jordan, the English loudspeaker designer and engineer, best known for his pioneering work on full-range metal cone drive units. 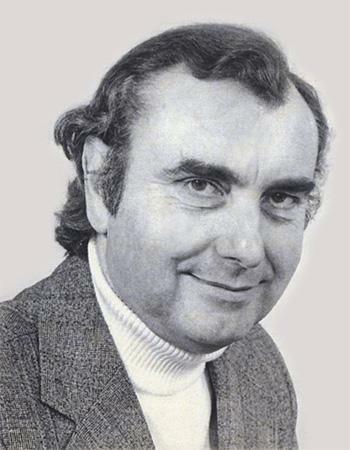 Ted was born in London in 1929 and began his career at GEC before joining Goodmans Industries in 1952. At the time Goodmans had one of the most advanced audio laboratories in Europe and as chief engineer, Ted was responsible for the Axiette loudspeaker, the acoustic resistance unit (now known as the aperiodic loading technique) and an electrostatic loudspeaker which debuted alongside the QUAD ESL at the 1956 London Hi-Fi Show. Together with Laurie Fincham (later of KEF) Ted designed the Goodmans Maxim, a two-way mini-monitor used by the BBC until the development of their own LS3/5a. In 1963, Ted left Goodmans to launch a radically new loudspeaker, the Jordan-Watts Module. This full-range, aluminium-cone loudspeaker went on to sell many thousands around the world, 20 years before mainstream manufacturers realised the benefits of metal cones. Consultancy work led Ted to design products as diverse as titanium cone speakers, pickup cartridges and hi-fi amplifiers. In 1975, he formed EJ Jordan Designs to market the 50mm Module. This small, alloy cone drive unit operated from 150Hz to 20kHz, avoiding the high-frequency crossover of traditional dome tweeters and woofers. It was remarkably successful and variations can still be seen today. He developed refined models over the years, a range of bass units, the famous JX92 full-range loudspeaker and a compact pre/power amplifier. A gifted writer, Ted's technical articles appeared in magazines in the UK and abroad. His seminal book Loudspeakers, published by Focal Press in 1962, became an industry bible and is still in demand today. Ted leaves an archive of research going back 60 years and was investigating new ideas and products right to the end. Ted's company, E. J. Jordan Designs, is proud to continue his legacy of innovation and original thinking. Ted will be greatly missed by all who knew him. He combined an enquiring mind with a deep understanding of his subject and an artist's feel for his craft. He had a mischievous sense of humour and was generous with his knowledge. He was passionate that his work was designed do one thing supremely well - to serve the music.